Wilfully Obscure: Connections and WV White (Anyway, 2013/14) A brief overview. Connections and WV White (Anyway, 2013/14) A brief overview. You have to feel hella sorry for any band who's been consistently hung with the albatross of sounding like dead ringers for another, and frankly, more renown group. Invariably, in the case of Connections, that spot-on comparison is Guided By Voices, who this new Columbus aggregation strike me as being utterly besotted with. Lucky for them, they harken back to a time when Dayton's finest were truly...well, fine. For those of us who climbed aboard the S.S. Pollard circa Bee Thousand we were able to bear witness to a GBV that was both cult and classic, whereas these days it often feels like we're just being pummeled by the former (a half-dozen times a year no less). Connections frontman Kevin Elliott is a prodigious hybrid of Robert Pollard and Tobin Sprout, and his quintet bears the acumen to give due deference to both on their twin long-players, Private Airplane and Body Language, issued in 2012 and 2013 respectfully via Anyway Records. Connections ramp up the "classic" GBV rosters' "lo-fidelity" to a negligibly more polished "mid" hue, doubling down on the feedback and clangy clamor while they're at it. And unlike Pollard and Co, the band's set list acquiesces to songs exceeding past the two minute mark. In fact, Airplanes' "Nightwatch" and "Total Carpool" spark just the visceral charge we should still be expecting from you know who, but Connections revivalist inclinations are buttressed with a noisepop spin of their own design as well. Delish. 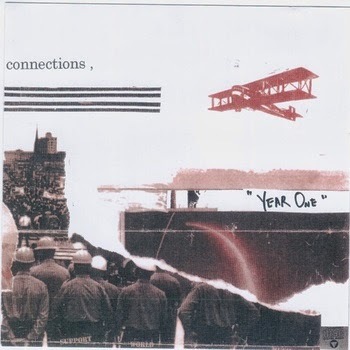 Year One is a CD and digital release that compiles Private Airplane, Body Language, and a four-song EP, Tough City, in their entirety. Amounting to 32 songs in the span of seventy minutes, a straight-through listen will either prove daunting, or in my case, downright blissful. Vinyl copies of both full lengths are available from Midheaven. You can get your digital fix there as well, or if you prefer, Bandcamp and all the other usual suspects. And if the Connections weren't enough of a find, there's even more fresh blood from the state that's HI in the middle and round at both ends. 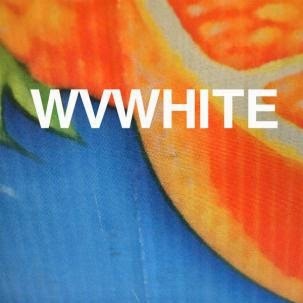 If anything else, the co-ed WV White are a band of varying degrees. In fact, whistling organ fills and buzzy bass lines are the only concomitant threads hemming the bulk of West Virginia White's ten selections together. Tyler Travis's spoke/sung vocals are afflicted with a faint quiver, suggesting a more together Conor Oberst, and go that much further in defining WV's penchant. Additionally, the band sports a Pavement-esque level of enthusiasm, without completely relenting to the Malkmus/Kannberg slack attack. And speaking of all things indie and iconic, West Virgina White's opening salvo "Allison Laper, Pregnant," commences with a bedrock of grainy, J Mascis-y guitar squall, only to be paired with said churning organs and Travis's golden throat in a matter of seconds. As I asserted, this four-piece is all about variance - a melodic and relatively muscular nugget like "Ford Mustang" is soon succeeded by a chilled-out piano ballad (see "Cockroaches"). There's an enormous amount that falls in between these two realms, and WV White navigate this not-so-deep divide artfully. West Virginia White is available on wax from Midhaven, and can be streamed and purchased digitally here. any chance to reup this one? Touchables link has been updated. Thanks for alerting us. Great post! I have not been able to get enough of Connections over the past year. Another Ohio touchstone/comparison is Times New Viking, which is not surprising since that band's drummer, Adam Elliott (Kevin Elliott's brother), is also in Connections.